Ultra-smooth absorbent clay ground, accepts more mediums than any other surface. One of a kind workability with paints and artist tools. Many fine art uses including India, pigmented and alcohol inks. Also use with egg tempera, acrylics, collage, pencil, pens, airbrush, photo-transfers, casein, watercolour, gouache and mixed media. Bonds well with adhesives to mount paper and fabrics. This product measures 6x6" by 1/8" thick and comes in a pack of 4 bords. The price displayed is for the pack of 4. These small panels are ideal for those who love to paint a picture a day !! 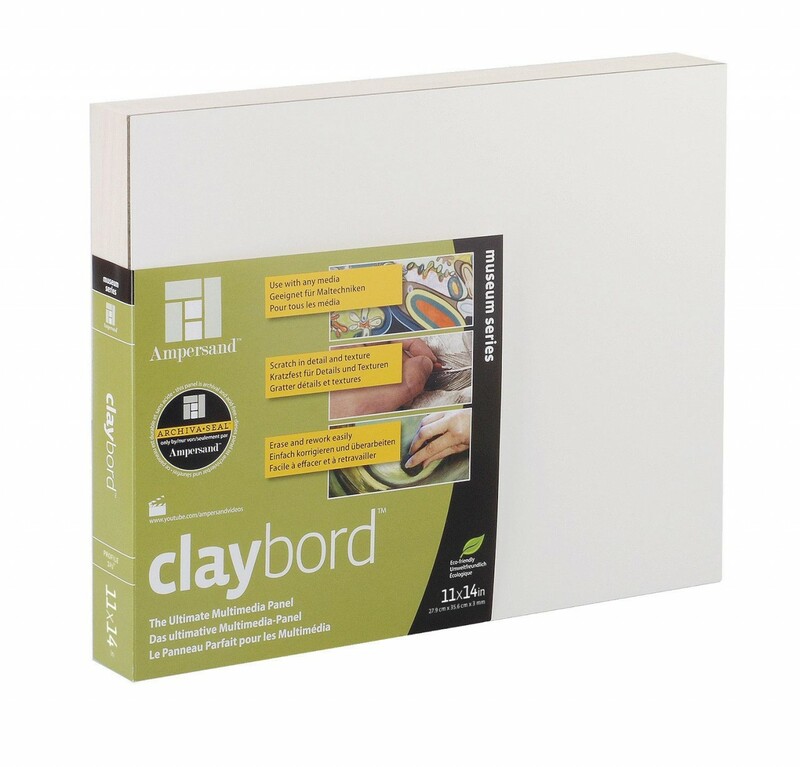 Click the button below to add the Claybord 6x6 - 1/8" pack of 4 bords to your wish list.